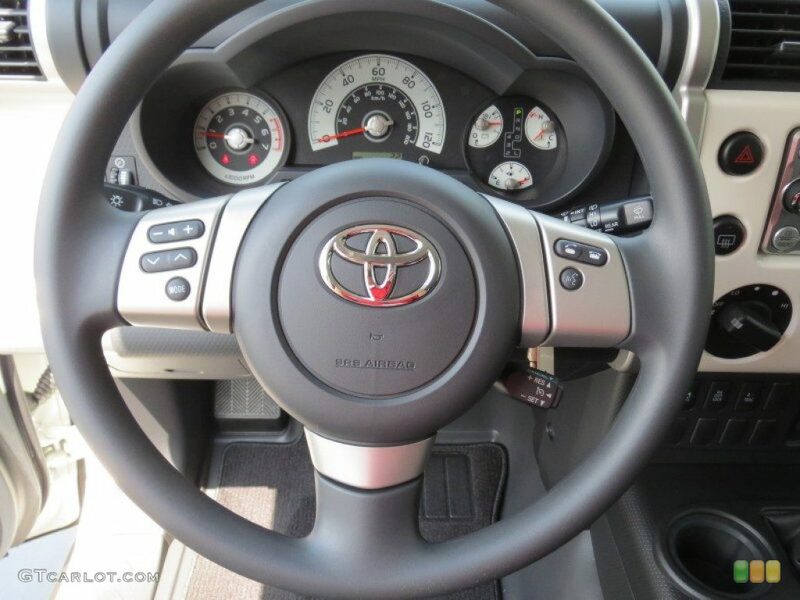 Removing the steering wheel, horn/air bag, silver trim, or audio controls is fairly simple. I know it may seem like a daunting task, but it isn't. 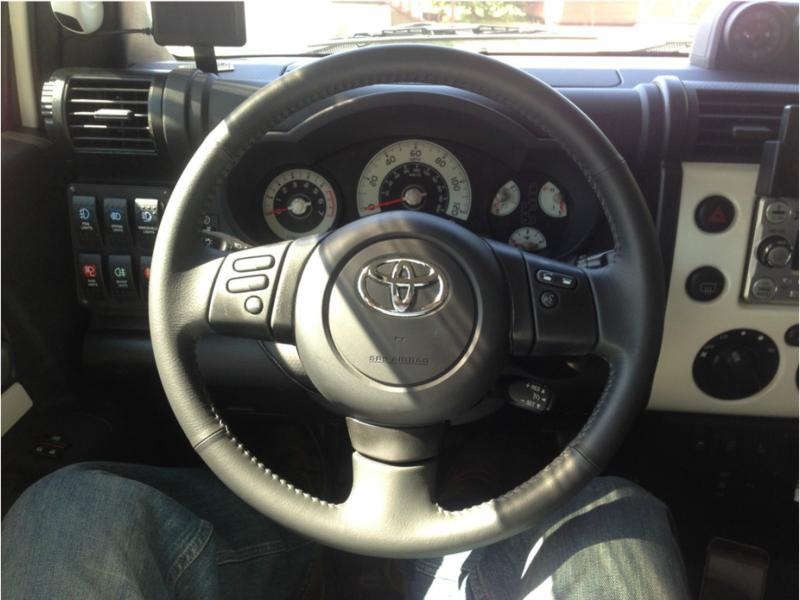 You can remove and reinstall your steering wheel assembly faster than you could run around your FJ 238 times. I know that may be an odd comparison and that's because it is, but it is also entirely true. 1) Locate the side panels on the left and right side of the steering wheel. 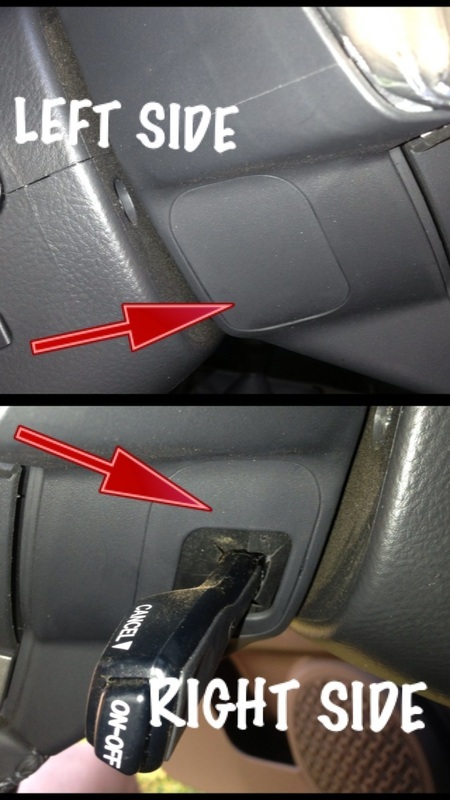 ﻿2) Once you have located the side panels, remove with a small flat head screw driver or trim tool. 3) Once the panels are removed, you will see a star screw on each side. Unscrew the screws. The screw are housed in a self catch housing so no need to worry about dropping the screws. 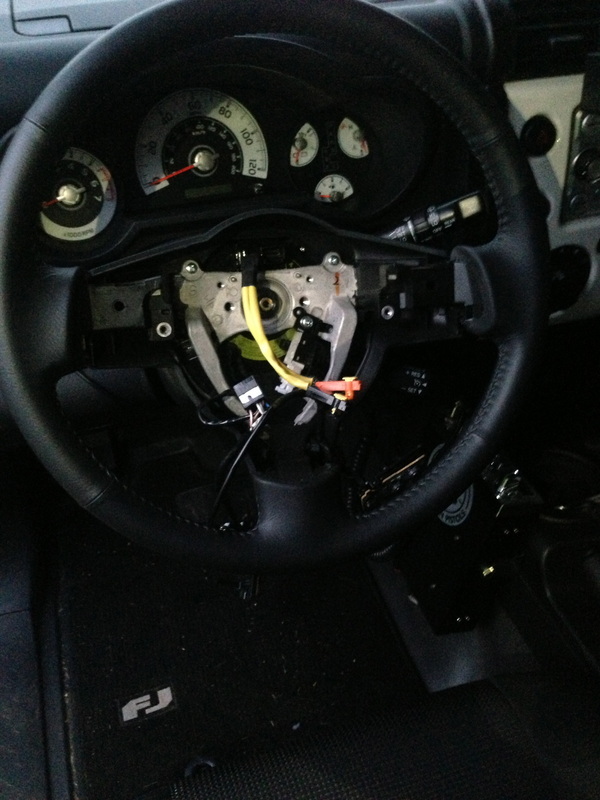 Once the screw are loosened, the horn/air bag assembly is free to pull out. 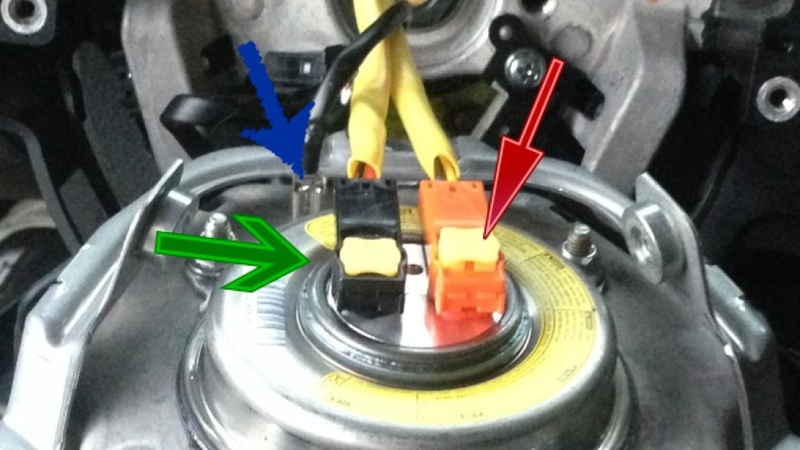 4) Once you have the horn/air bag assembly out, you will see 2 air bag wires (green arrow) and 1 black ground wire (blue arrow). To remove the ground wire, simple pull and it will come free. 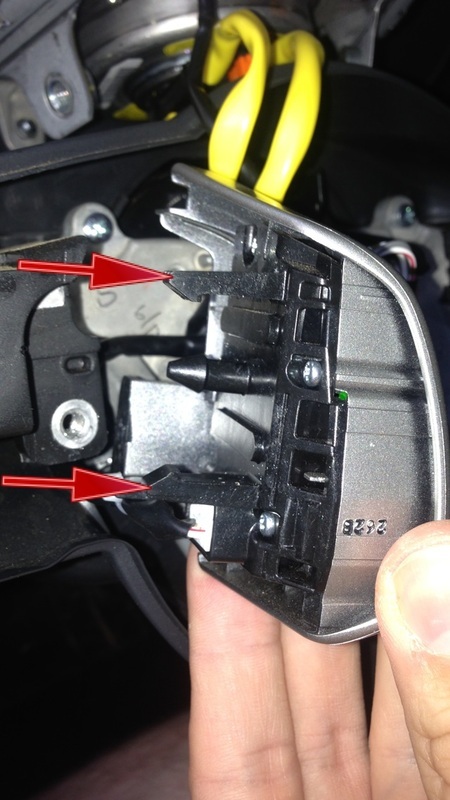 To remove the 2 air bag wires, simple lift up on the yellow clip located on the back of each wire (red arrow). 5) To remove the silver side trim, unscrew the phillips screw. Once unscrewed, simply pull towards you. It is held in place with 2 clips (red arrows). It might feel like you're about to break something, but just pull and it will come free. Thats all there is to it. If you want to break down the silver trim even further, there are 4 small Philips screws holding the audio controls in place. Unscrew those, pull the plastic backing out and the controls and your good.